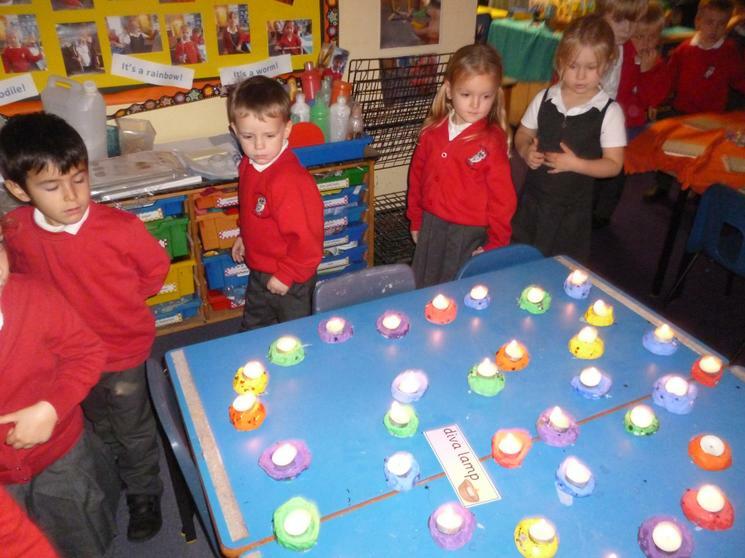 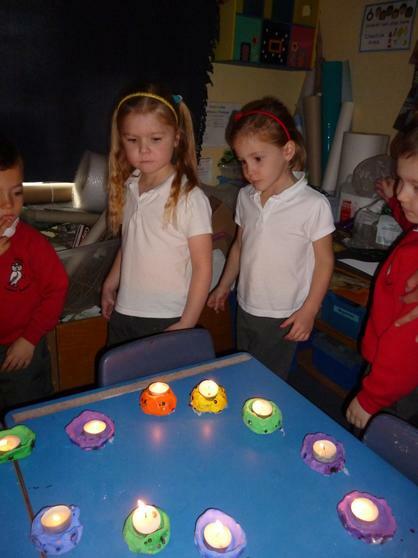 We have been manipulating clay to strengthen our fine motor muscles and experiment with different media to be creative. 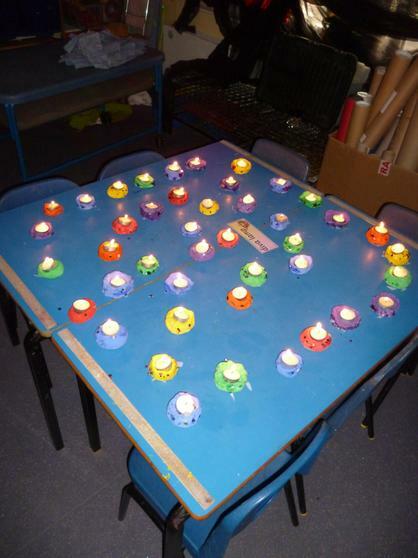 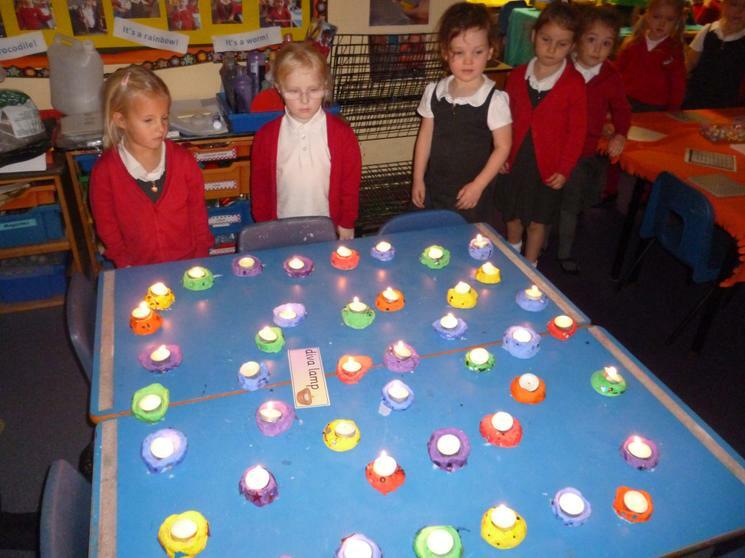 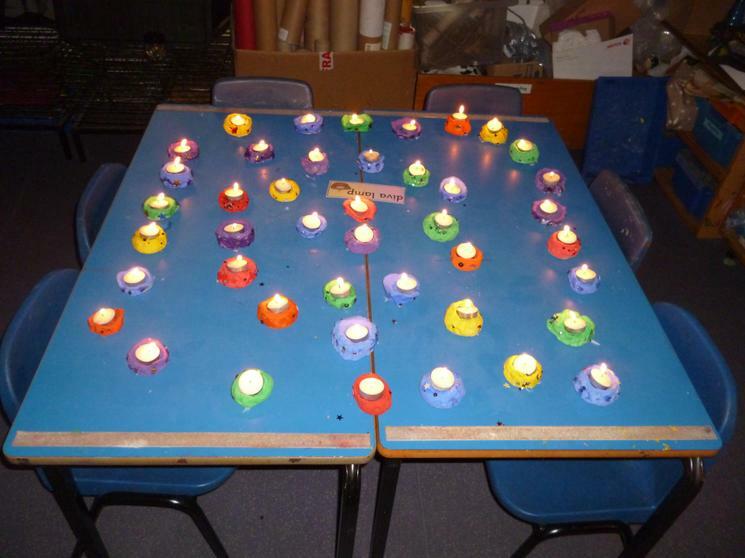 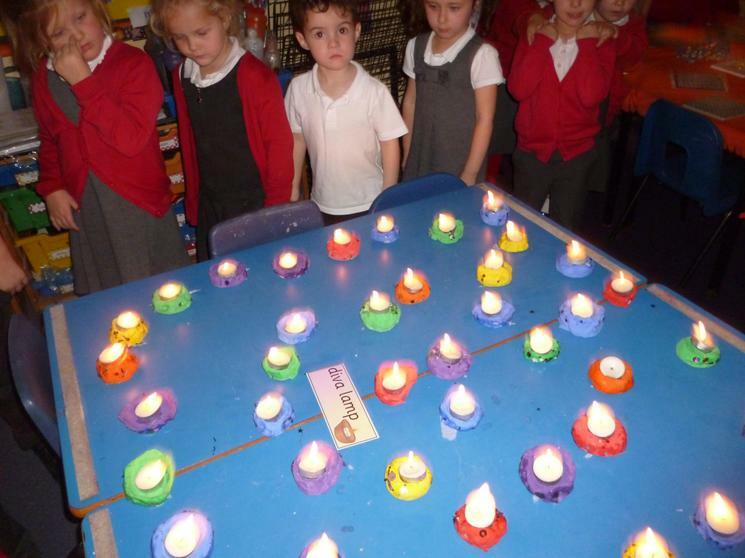 We moulded the clay into small pots to hold a candle. 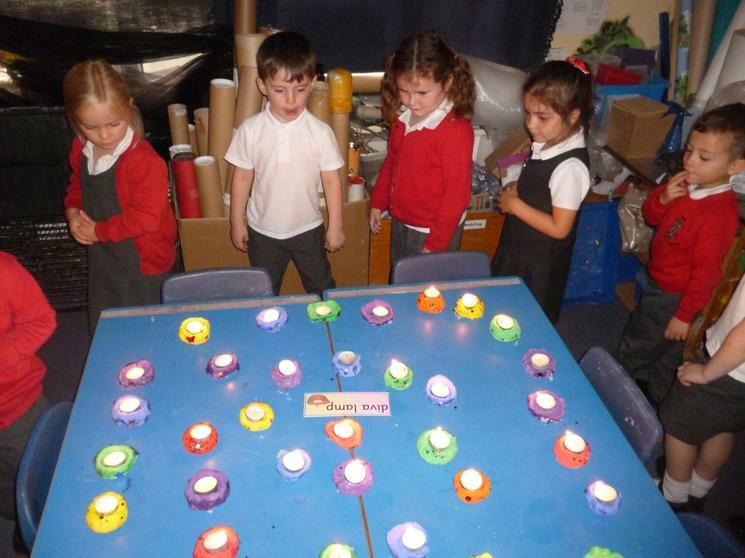 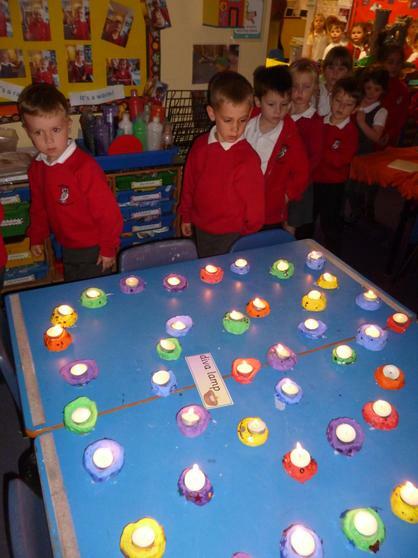 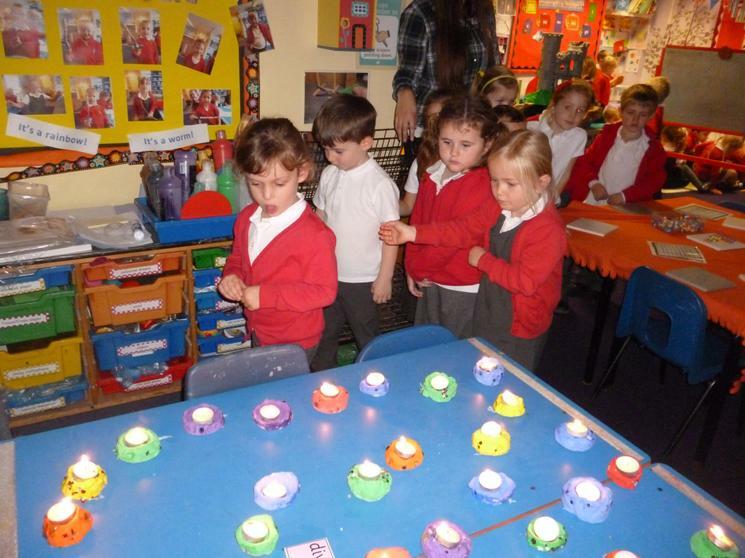 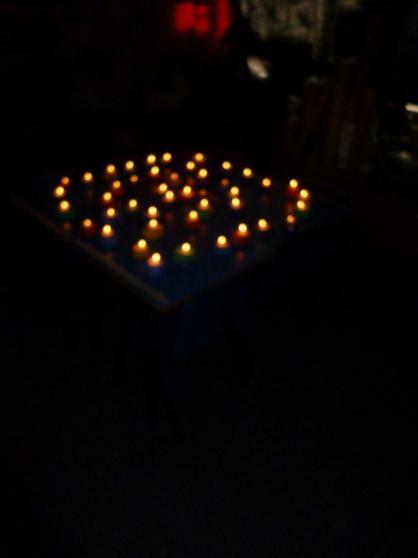 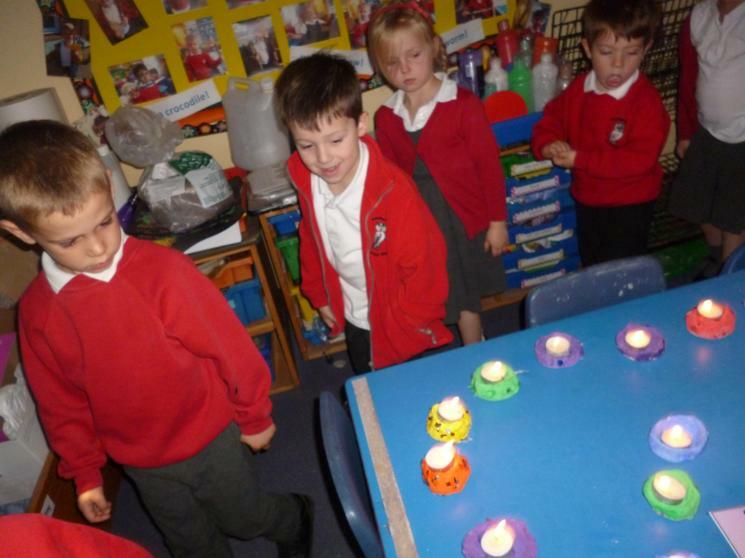 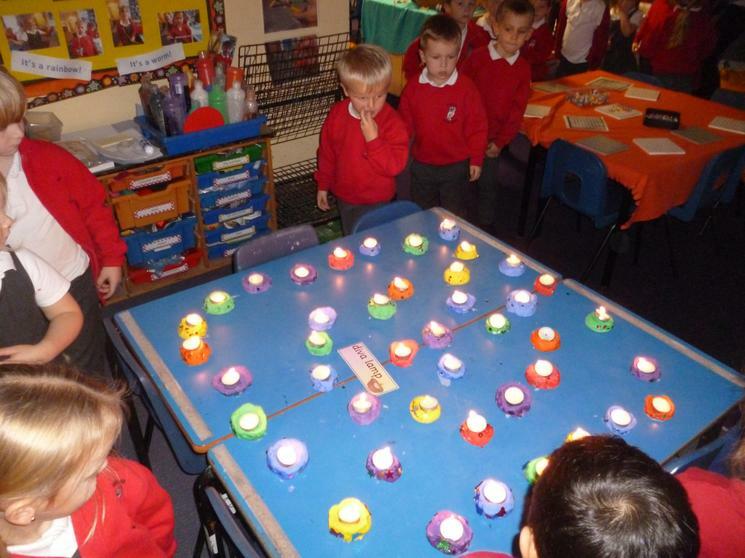 We learned about the festival of Diwali and enjoyed watching and listening to the story of Rama and Sita. 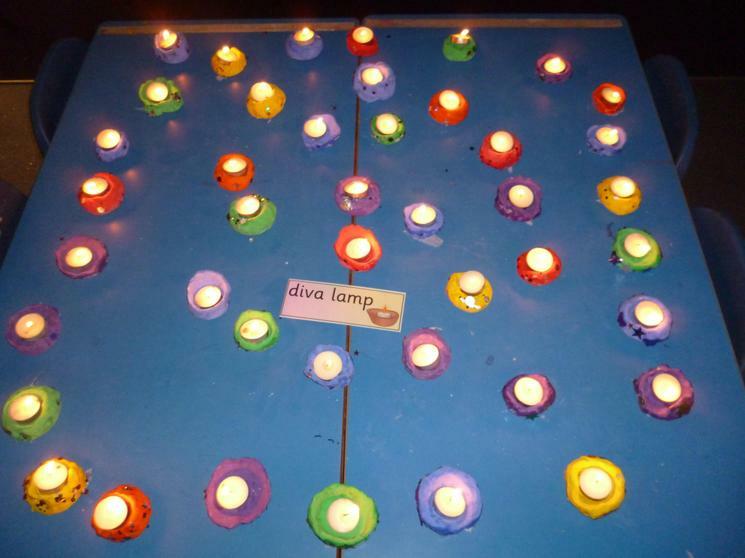 When they were ready, we lit candles in our clay pots and imagined they were diva lamps, lighting the way home for Rama and Sita.